On September 25, Kendrick Scott Oracle will release We Are The Drum, the remarkable Blue Note debut of a band founded by drummer Kendrick Scott who over the last decade has powered groups led by Terence Blanchard, Herbie Hancock, Charles Lloyd, Kurt Rosenwinkel & Kurt Elling, as well as the Blue Note 75th Anniversary all-star band. The album’s title track is available now as a single to download or stream. In addition to touring with Lloyd, Elling, Luciana Souza and Trumpeter Avishai Cohen this Fall, Scott will be out with Oracle performing music from the new album at the Jazz Standard in NYC (September 22-23) and on the Blue Note Jazz at Sea cruise aboard the Queen Mary 2 (October 29-November 5). Oracle will also embark on tours of Asia and Mexico, and make appearances in Scott’s hometown of Houston, Texas (November 14), as well as west coast engagements including SFJAZZ (December 5). Further dates will be announced shortly. Oracle features a top notch collective of young musicians capable of a wide range of musical expression: saxophonist John Ellis, keyboardist Taylor Eigsti, guitarist Mike Moreno, and bassist Joe Sanders. Each of Oracle’s members has a songwriting credit on We Are The Drum, including six compelling new originals by Scott. The 11-track album also includes a cover of the Flying Lotus song “Never Catch Me” as well as a feature spot for the vocalistLizz Wright who co-wrote “This Song In Me” with the album’s producer Derrick Hodge. 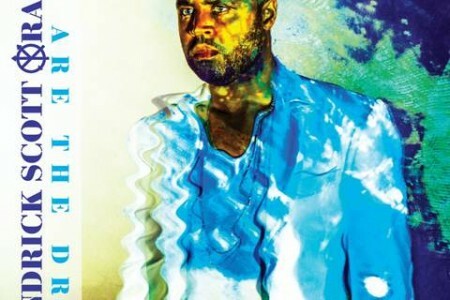 Kendrick Scott was born in Houston, Texas and grew up in a family of musicians. By age 8 he had taken up the drums and he later attended Houston’s renowned High School for the Performing and Visual Arts, a school which has produced an impressive array of musical talent including Scott’s label mates Jason Moran and Robert Glasper, as well pop star Beyoncé and many others. While still attending HSPVA, Scott won several DownBeatMagazine student awards, as well as the Clifford Brown/Stan Getz Award from the International Association of Jazz Educators. He was later awarded a scholarship to attend Berklee College of Music, where he majored in music education. Scott has toured with Herbie Hancock, Charles Lloyd, The Crusaders, Kurt Rosenwinkel, Kurt Elling, and Terence Blanchard, also appearing on several of the trumpeter’s Blue Note albums including Flow (2005), A Tale Of God’s Will (2007), and Magnetic (2013). Kendrick has released three albums as a bandleader including two previous albums with Oracle: The Source (2007) and Conviction (2013). 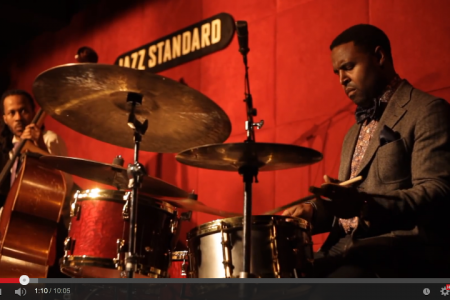 Scott is a member of the Blue Note Records 75thAnniversary all-star band that includes Ambrose Akinmusire, Robert Glasper, Derrick Hodge, Lionel Loueke and Marcus Strickland. 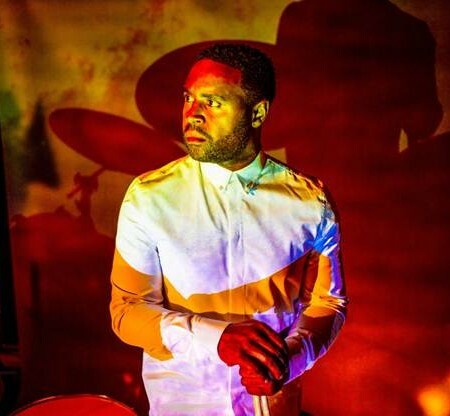 With We Are The Drum, Scott becomes the fourth alumni of Blanchard’s band to record for Blue Note as a solo artist following in the footsteps of other leading voices of his generation including Loueke, Hodge and pianist Aaron Parks.